God has invited everyone to his kingdom. His ambition and desire for all human beings are clear. He wants everyone to escape the eternal condemnation by believing Jesus Chris as their one and only savior. For this reason, God has sent his only begotten son to earth so that everyone who have trust in him shall have eternal life. Some are just procrastinating their decision as if they know what is going to happen tomorrow. Only God knows what will happen tomorrow. In my opinion, no one can be 100% sure about tomorrow. You may have probability of knowing some aspects of it but no one can predict the future. But some people want to gamble with the most precious thing on earth, their soul. There should not be any reason what so ever that would make us hesitant to make the decision of life and death. We need to choose life instead. It doesn’t even have to bother us for a minute. The Word of God clearly indicates that now is the day of salvation. It doesn’t indicate any thing about tomorrow or later. Those who procrastinate their day of salvation are simply setting themselves for the enemy to destroy them permanently. There is no guarantee what have today will be there tomorrow. But if we have Jesus today, we know by faith that God will abundantly pour out his blessing on to us more than we even ask or imagine. It is wise to think outside of the normal way of thinking and see if God is really giving us the second chance to be with Him today. 2 Corinthians 6:2 For he says, "In the time of my favor I heard you, and in the day of salvation I helped you." I tell you, now is the time of God's favor, now is the day of salvation. Wouldn’t it be so offensive for someone to ignore the invitation of very prominent person or an official of some kind to a very important ceremony, like a wedding? I didn’t see any reason why anyone would do so unless he wants to put him self in great trouble. Most people who have a big respect for famous people and would respectfully accept invitation from such famous people would not even bother to think about the invitation to the wedding of the lamb of God who was slain for the sake of sinners like you and me. Some even become eternal enemies of God by killing his messengers like the evangelists and preachers. According to Math 22, God will revenge such people and bring justice for his servants who were done wrong by the schemes of the evil. As the Bible teaches us in the Book of Acts where it narrates how Jesus met with Paul and warned him to turn from his wrong doings and persecuting Christian, it is absolutely necessary for those of us who are knowingly or unknowingly do the same to turn away from persecuting the children of God and start to live life according to the plan of God. ve a wedding for his son with us in it or without us. The important part of the wedding is not us. It is all about the Lamb of God. 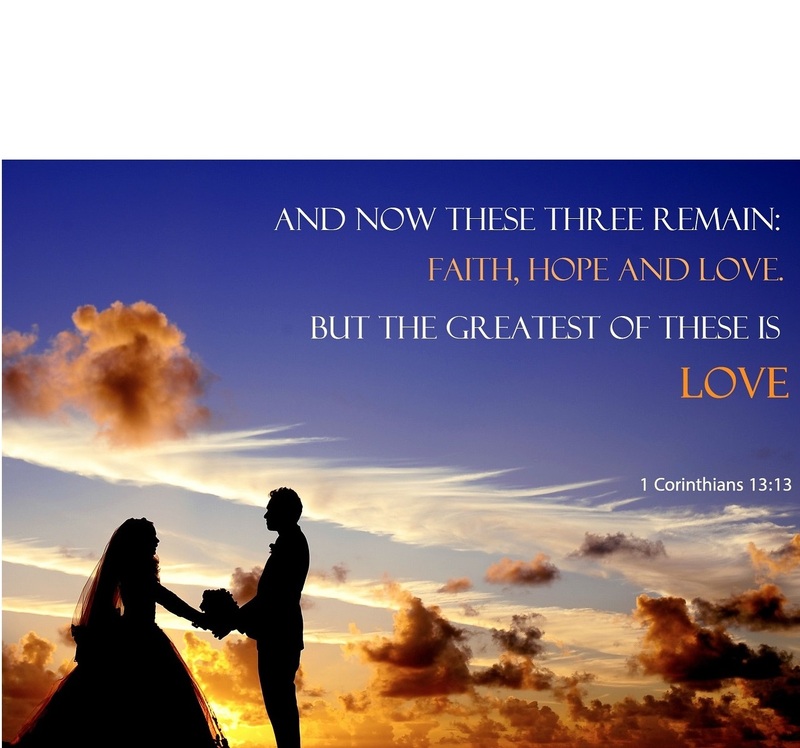 If we obey him and surrender our ways to him, we will enjoy this extraordinary wedding in heaven. very important to know that we must wear the proper attire when we attend the wedding. Any dirty clothing is not acceptable in the wedding. This is off course metaphor. God is telling us to cleanse our soul by the blood of Jesus before attending the wedding. Revelation 22:14 Blessed are those who wash their robes, that they may have the right to the tree of life and may go through the gates into the city. If anyone dares to enter the gates of heaven depending on his own righteousness and not on what Jesus did on the cross, he will be thrown to the eternal fire as it is consider as wearing a dirty cloth in the king’s wedding. Romans 8:1 There is now therefore no condemnation to those who are in Christ Jesus"
Ephesians 2:8–10 For by grace you have been saved through faith. And this is not your own doing; it is the gift of God, not a result of works, so that no one may boast. But the guests did not pay any attention. Some of them left for their farms, and some went to their places of business. Others grabbed the servants, then beat them up and killed them. This made the king so furious that he sent an army to kill those murderers and burn down their city. Then he said to the servants, “It is time for the wedding banquet, and the invited guests don't deserve to come. Go out to the street corners and tell everyone you meet to come to the banquet.” They went out on the streets and brought in everyone they could find, good and bad alike. And the banquet room was filled with guests. When the king went in to meet the guests, he found that one of them wasn't wearing the right kind of clothes for the wedding. The king asked, “Friend, why didn't you wear proper clothes for the wedding?” But the guest had no excuse. So the king gave orders for this person to be tied hand and foot and to be thrown outside into the dark. That's where people will cry and grit their teeth in pain. Many are invited, but only a few are chosen.